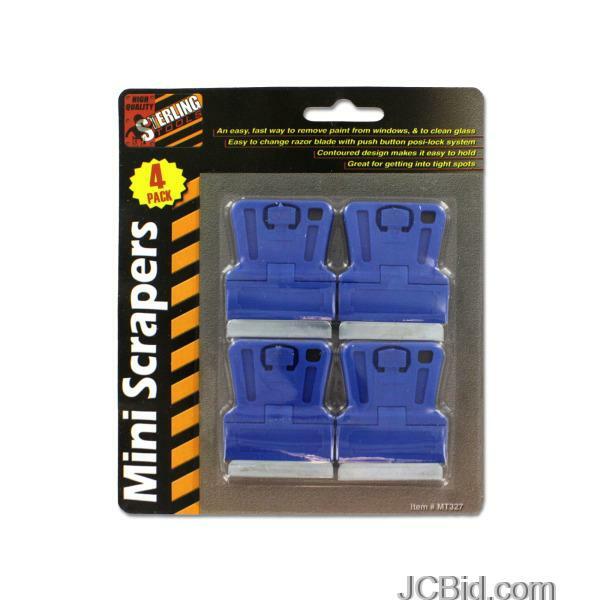 Quickly and easily remove paint from windows and clean glass with this 4-piece Mini Scrapers Set featuring a contoured design that is easy to hold. Great for getting into tight spots. Easily change the razor blade with push button position lock system. 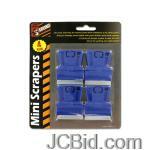 Each razor measures approximately 1.75" x 2.125". Comes packaged in a blister pack.